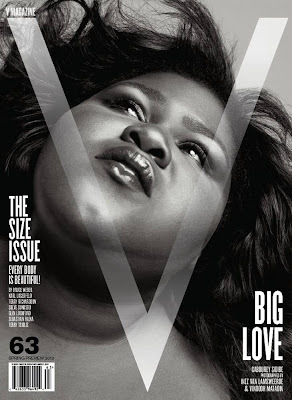 VogueIcon | Article : V Magazine Plus-sized Models Photo Shoot For "The Size Issue"
The V girls are sooooo HOT! And while I concede there might be an element of "big girl token-ism", it's a start! Roll on the day when "plus size" will be called "normal" because - when you read all the statistics - that's exactly what it IS!